Beware Pokemon trainers! The Metropolitan Manila Development Authority is very serious in guarding their Pokemon Gym! 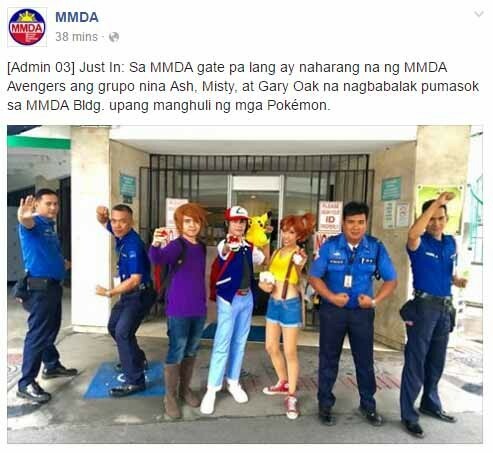 Ash, Misty and Gary tried to enter their premises but the MMDA Avengers were able to block them from doing so. With the MMDA headquaters being tagged as a Pokemon Gym, the officials warned Pokemon trainers not to enter their office to catch Pokemons. Anyone caught will be immediately brought out of the building.